Looking for a workplace that is satisfying in terms of both income as well as activity requires a serious job hunt. Many people decide to let go of their childhood dreams and ambitions in pursuit of a career that is going to benefit them in the long-term. However, by doing this, they only take care of the satisfactory income part. When it comes to the activity, they generally hate what they end up doing, but it is too late for them to back out. On the other hand, there are some people that decide to take on a more unconventional field of work: game testing. If this is your dream job, you will find here everything you need to know about how to become a game tester. This article features a compilation of steps, tricks & tips and a series of suggestions most suited for this particular line of work. Also, you will discover a wide variety of behind the curtain facts that you can use in order to land yourself a great job. At the same time, you will be one step ahead of the competition and closer to achieving your goal, as well. Like any other job requirement, you need to have a résumé in place. Because of a large number of applicants, the recruiter will not be able to look over each document in detail. This is why you need to make yours stand out. Fill in everything from education to hobbies that clearly states that you are the right person for the job. However, do not try to go overboard, and keep it simple and honest. The recruiter will catch up on you if you try to make the résumé too perfect for the job and ultimately too obvious. It is only natural that in order to win the lottery you must place a ticket. So, go online and start searching for gaming companies that are hiring. Try to see if any of your favorite game publishers is looking to add new members to their projects. Naturally, you will be more accustomed to the games they produce and it will be easier for you to understand the workload. If you are out of luck, there is no need to worry. Gaming follows the same principles everywhere. On that note, apply to any gaming company that is currently hiring. It might not be today or tomorrow or even a week from now. However, if you are persistent enough in the pursuit of your dreams, you will eventually land an interview, at least. In order not to throw this opportunity out the window, you need to be very serious about the whole thing. Even though it is a gaming company, you need to show them you are prepared to take on responsibilities greater than just pressing some buttons. Hence, display confidence in a professional manner. No matter what questions may come your way, try not to be too cheeky. The interviewer is looking for relaxed individuals, but not for arrogant or overzealous ones. If you take into account all the steps above and get this far, congratulations! It means that your dream finally came true. However, there is still a great deal to learn about how to become a game tester. First of all, take your job seriously and perform as best as you can. Of course that in the beginning there may be some new thing that you are having a hard time getting a grasp on. Pay attention to your team members and their advice as these things will go a long way when it comes to your future development. Do not settle just for your current position. Always aim to go a little higher and be on the lookout for job openings within the company. Before they go looking for new employees, they will first sort out their own. If you do well enough, you may be put up for a promotion. However, do not try to skip some steps looking for a better-paid position. This will make you look unprepared for greater tasks and you will have to work in order to prove yourself a lot harder than before. Try to constantly gather as much experience and information as you can. This will come in handy, especially if you decide to change your workplace one day. You don’t particularly have to be an excellent gamer in order to become a game tester. However, you must possess some basic knowledge in terms of games functionality and specific language. 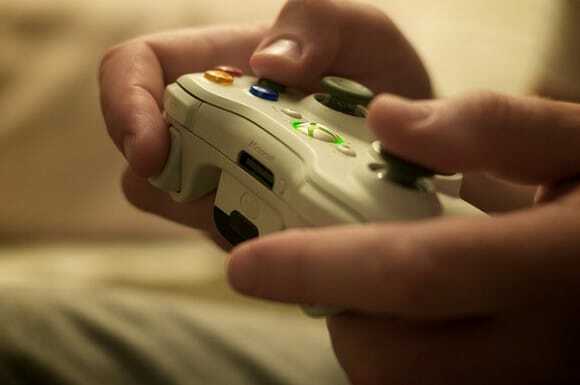 Play as many different games as you can, at least two or three hours a day. This way, you will understand what tasks you have to complete and how the game works. If you have a favorite game, pay attention to the details and look for glitches or visual errors. This will help you understand what may go wrong and in which area of the game. No matter how appealing your résumé may be, the recruiter will want to see for himself how good an observer you are. Hence, you will have to go through a specific interview that puts to the test both your gaming skills, as well as your grammar. However, do not be intimidated! It doesn’t matter if you are a pro at whatever game you are offered to test. What counts is the process you use to look for errors and how much attention you pay to the details. You will then have to submit bug reports for each and every bug encountered during testing. This classification helps the developers sort through a lot of errors. It is essential that in your first days of training you learn which is which as these are crucial to a bug report. However, you will have plenty of time at your disposal to practice. The company will provide devices that run bugged games, in order to best prepare you for the job. Most people already understand what a crash is about. This occurs when you are in any kind of gameplay mode or menu section and the application suddenly closes. The soft lock is more generally referred to as “freeze”. This is when the game does not respond to any user commands and needs to be restarted. Functionality problems are about unresponsive buttons that you can find anywhere from the menu to in-game modes. If you press something, and it doesn’t do what it is supposed to, this is a functionality bug. Also, this applies all the same for buttons that carry out a completely different action than intended, as well. This may prevent the user from achieving a specific goal. Graphics and text bugs are all about minor details. Also, glitches, overlapping characters or objects are graphic bugs, as well. If a flower has three leaves instead of two, for example, this is a graphics bug. If the test overlaps or there are typos present, it is a text bug. Now that you have a pretty good idea about what a bug is and which category it fits, there is only one more thing to know about them. The bug severity indicates how much the bug impacts the quality of the user experience. Hence, for every bug category, there is a mark that assigns the severity of the error. This compartmentalization is pretty straight forward and you will have no problem learning to assign a mark to every bug you encounter. If you find an error, you must immediately submit a bug report. For this, you will have access to some bugging software. Most commonly used are DevTrack and Jira. These make your task of writing the bug reports a lot easier. You will have specific fields that you must fill in gradually. This way, nothing is left out, and you will deliver a full report that includes everything the bug is about. How to become a game tester is not all about playing games. You need to pay close attention to these reports because they will become a reflection of your work. For this step, it is essential that you master English grammar. Large game companies operate solely in the English language. Furthermore, you will need to provide attachments for each bug you encounter. A screen shot will do just fine. However, go the extra mile and record how the bug unfolds, if possible. This way, the developers will have a better understanding of the error. Also, the team leader will see you as a meticulous person, which may prove to be quite beneficial in the future. Mastering all development platforms is a great plus when it comes to how to become a game tester. Maybe you want to test the latest Xbox games. Or you prefer PCs over consoles. Even if you play games only on the bus on your mobile device, you can still be a game tester. Hence, gather knowledge of how a game works either on consoles, PC or cellphones, and tablets. Also, it is possible that all the other positions are filled, so you will have no choice than to get whatever comes your way. However, you can call for a transfer if anything clears later on. How to become a game tester is all about using proper grammar in order to submit complete reports. These go out to the developers which then take over. If everything is correct and they understand your report, they will fix the problem. However, if you submit a false report, it will come right back to you. If the problem wasn’t stated clear enough, the developers will ask for more information. If they cannot reproduce the flaw, they will ask you to update your report. Worst case scenario, they label your report as “invalid”. This means there was no error to begin with and it was only a waste of time. In turn, the team leader keeps an eye on these reports. So be sure to put as much effort into writing a correct one as possible. At first, you will have to spend about a week in order to familiarize with the game, if you already are not. During this period, you will be allowed to freely test any section of the game. Game testing is one of the most desired 21st-century dream jobs for teenagers. Learn how to become a game tester using these suggestions. You will find in this article valuable information and some tips & tricks from behind the scenes, so you can better understand what’s in store for you. Do not think that game testing is only about playing games all day! Instead, train your attention by practicing at home. Remember to be confident, but not too cheeky at the job interview. Learn everything in this article and you will understand how to become a game tester much faster. Also, you will benefit from an undisputed advantage over the competition. What Are the Best PSVR Games?